That’s according to new draft guidelines from NICE (National Institute for Health and Care Excellence) on Air Pollution: outdoor air quality and health, which are currently under consultation. The document explores road-traffic-related air pollution and its impact on health, including setting out reducing emissions from public sector vehicle fleets will help to reduce road-traffic-related air pollution. This could include replacing outgoing vehicles with low-emission alternatives, including electric and hybrid vehicles. Public sector fleets would also be encouraged to train drivers in eco driving techniques, and explore options such as consolidating fleets and introducing car sharing. The draft guidelines also set out that local planning authorities should ensure planning applications for major developments include proposals to minimise and mitigate road-traffic-related air pollution, including enabling zero and low-emission travel and designing buildings and spaces to improve air quality. 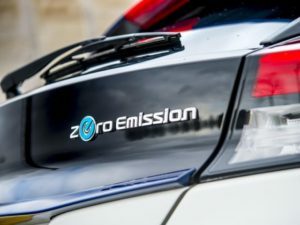 Professor Gillian Leng, deputy chief executive and director of health and social care at NICE, said: “The public sector has a key role to play in reducing the emissions from its vehicle fleet. Promoting an efficient driving style can not only reduce the amount of air pollutants from vehicles but also save money through reduced fuel consumption. “Organisations should make low vehicle emissions one of the key criteria when making routine procurement decisions. This could include selecting low-emission vehicles, including electric vehicles. The consultation on the draft guidelines will close on 9 October 2018. Next: Whatever happened to hydrogen?